Got a sweet tooth? 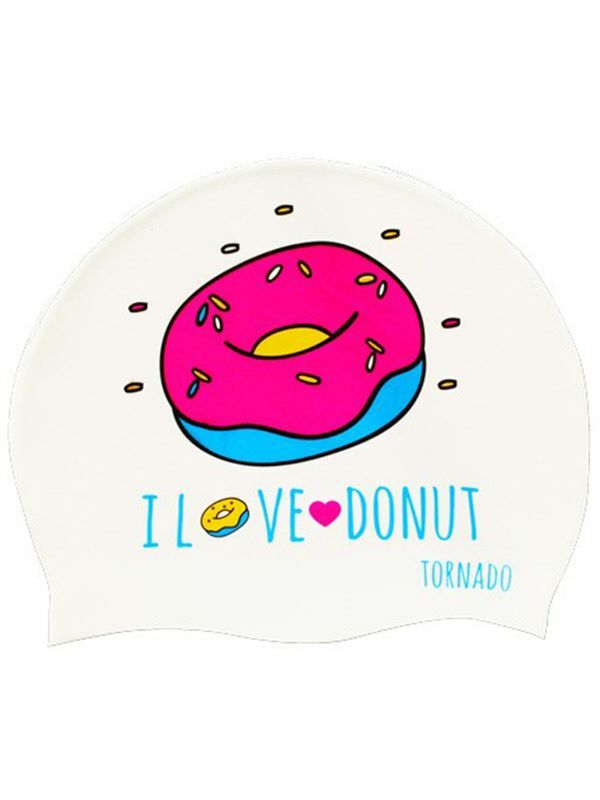 You have got to sink your teeth into the Tornado Sweet Tooth Swim Cap! This fab magnolia white swim cap features a tasty and adorable looking donut in bright sky blue with a sticky sweet frosting on top in magenta. With cherry red, tangerine, mint, and cobalt sprinkles and the final cherry on top is the ultra cute “I love donuts” life motto across the bottom over a modern and fun Tornado logo written out in ocean blue. If you are looking for a sweet as sugar swim cap style, look no further!